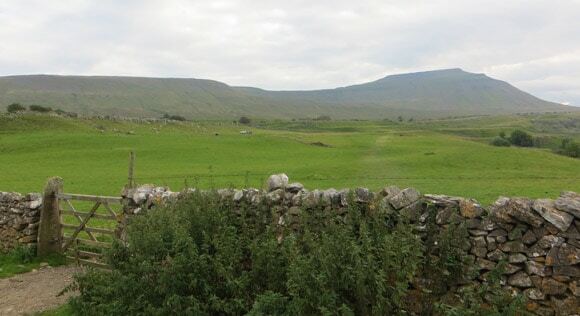 The view of Ingleborough when walking from Whernside. 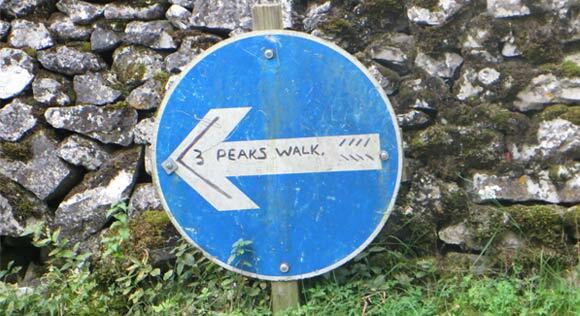 Confession time: When climbing each peak individually, Pen-y-ghent is the most difficult to climb. 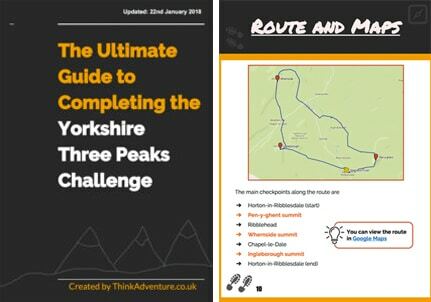 Now you are heading to Ingleborough, on legs that have been working constantly for numerous hours, Ingleborough is going to be tough and will probably feel a lot harder than Pen-y-ghent. It’s the last hurdle before the 4-mile walk back to Horton-in-Ribblesdale. 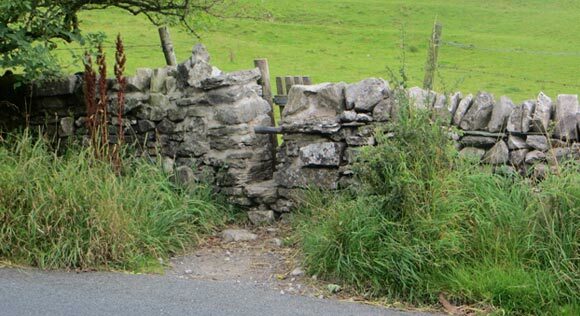 After passing back through the stone gate, follow the path leading towards Ingleborough. 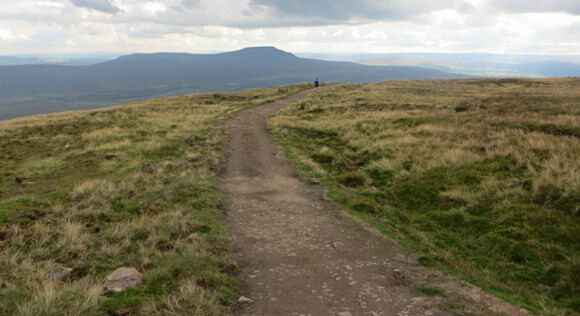 Ingleborough is visible from Whernside summit on a clear day. 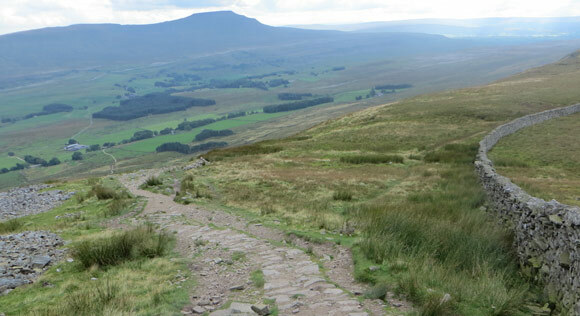 The descent from Whernside is one single path leading all the way to the bottom. 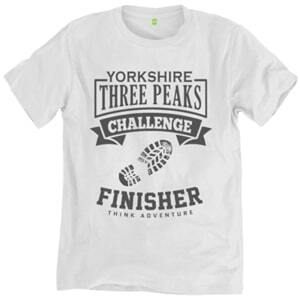 Once you have completed the decline from Whernside, the next checkpoint is the The Old Hill Inn. The upcoming set of signposts, just behind the gate and hut, will point you in the right direction. The signposts are in quick succession and are approximately 30 metres apart. It is a small zigzag and a local has helped highlight the route. This leads to a straightforward path, which leads to the main road next to the The Old Hill Inn. Upon reaching the cattle grid, turn left onto Low Sleights Road (B6255). You can see the The Old Hill Inn from here. Walk towards The Old Hill Inn. There is a small gate approximately 20 metres away from the building, just before the trees. Pass through the gate in the wall and follow the worn grass until you reach another gate. 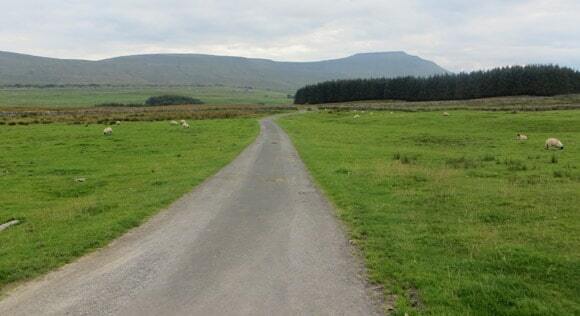 The route is clear due to the worn ground underfoot and Ingleborough can be clearly seen in the background. Pass through the gate and head towards Ingleborough. The next signpost confirms you are 2 miles away from Ingleborough and the following signpost informs you that it is 2 miles to Ingleborough’s summit. 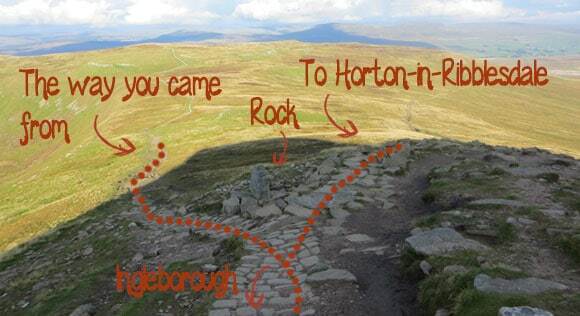 The route is simple to follow as Ingleborough can be clearly seen and signposting is available. Once you reach the end of the stone pathway, you will be greeted with a tough climb. 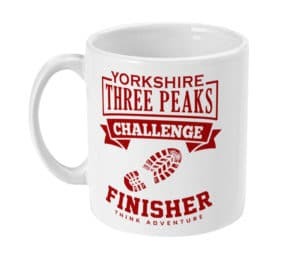 The above images don’t look too difficult, but I personally think this is the hardest section of the Yorkshire Three Peaks. It is only a short climb but this is where you can feel the previous 20 miles in your legs. The upside is that you are almost at the top of Ingleborough after the scramble. When walking towards the peak of Ingleborough, you will pass an upturned rock sticking out of the ground on your left-hand side. This is an important checkpoint. The route passing the rock is the way back to Horton-in-Ribblesdale. 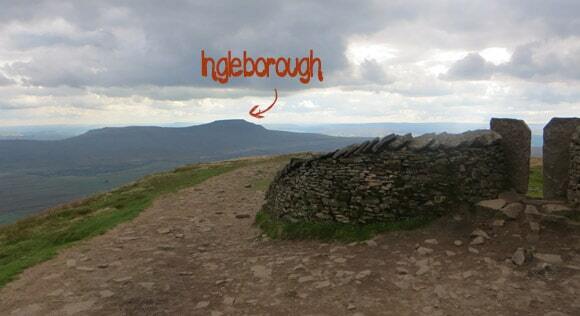 You are almost near the summit of Ingleborough. There’s just…. A small scramble left before you reach the flat top of Ingleborough. 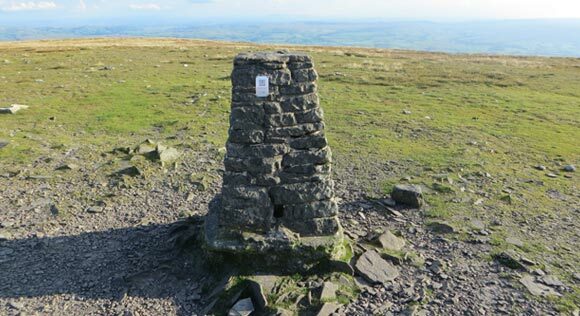 The trig point is not visible when you reach the long, flat top of Ingleborough. 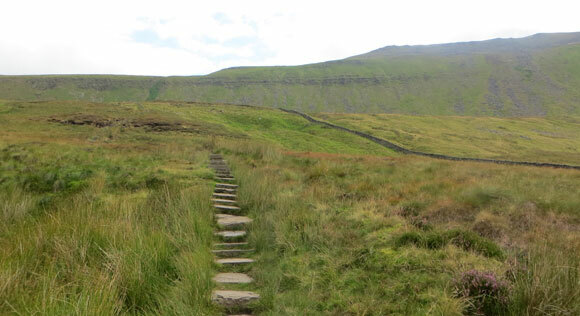 Keep walking straight up – but slightly to the right – once you reach Ingleborough’s plateau. 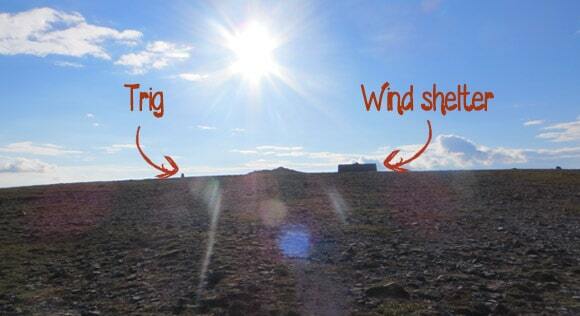 On a clear day you should see the trig and wind shelter very quickly. On a foggy day it could take 90-120 seconds for them to become visible. And that is the final trig point of the Yorkshire Three Peaks. 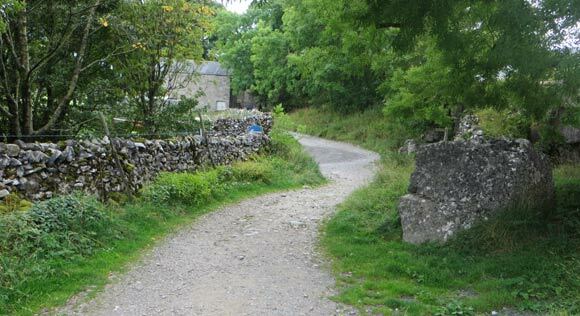 There are no more inclines from this point forward, but it is a 4-mile walk back to Horton-in-Ribblesdale.